I picked up this over-sized plaid shirt at a garage sale. So sorry but my before pic didn’t turn out. This was an easy refashion but I wanted to show it to you all so you can see how some very simple changes make something much more wearable. I took in the shirt by running a stitch up both sides from the hem to right under the arm, tapering it out to meet the old seam at the arm hole. Then I stitched another line from the cuffs to the top of the shirt, tapering it out to meet the old arm hole. 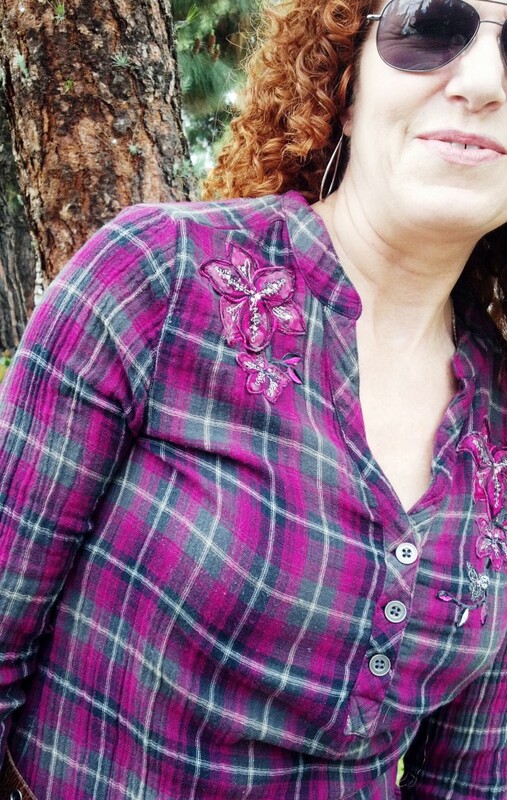 I had some appliques in my stash that matched this top perfectly. I hand-stitched them to each shoulder, going for an asymmetric look rather than trying to make them look exactly the same. Add a belt and my fifty cent garage sale purchase is now a cute new tunic. 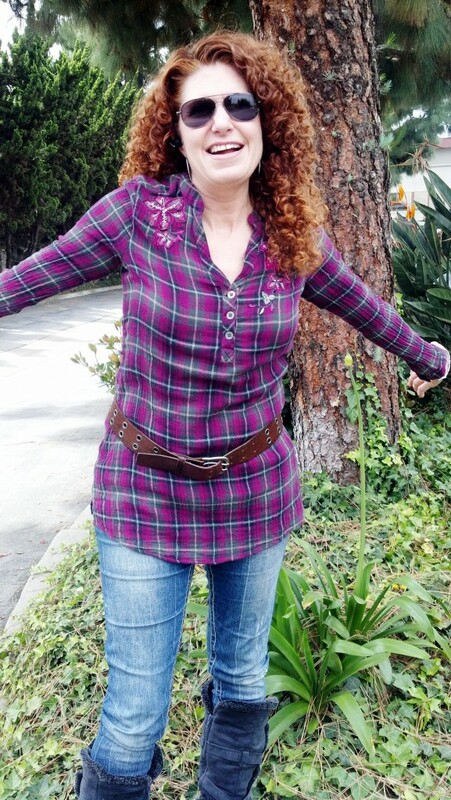 This entry was posted in clothing, Refashion and tagged embellished clothing, refashioned clothing by Kat. Bookmark the permalink.